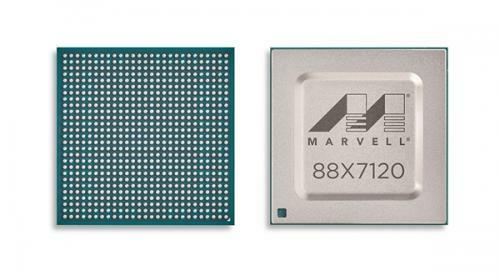 Marvell (Merman Electronics) today announced the launch of the latest single chip Ethernet transceiver program "Alaska 88X7120", the world's first support for 400GbE, that is, the 400000 trillion Ethernet. Market research firm IDC data show that 100GbE has become the default option for large scale data center, server also is moving to 25GbE, 50GbE. 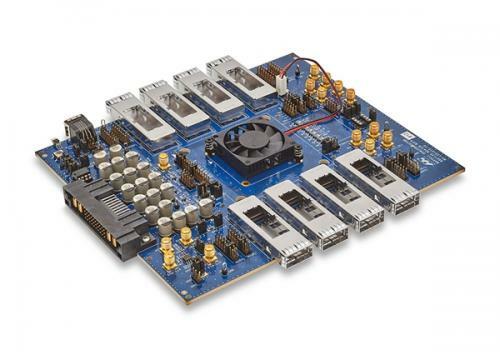 Marvell 88X7120 Mina think is the large scale data center market, by 50G PAM4 (4 level pulse amplitude modulation) signal, support 16 50/25/10/1GbE port, 200GbE port or 4, or 2 400GbE ports, and are full duplex transmission, can meet the requirements of artificial intelligence, machine learning and other emerging applications of ultra high demand for processing and the bandwidth of I/O. 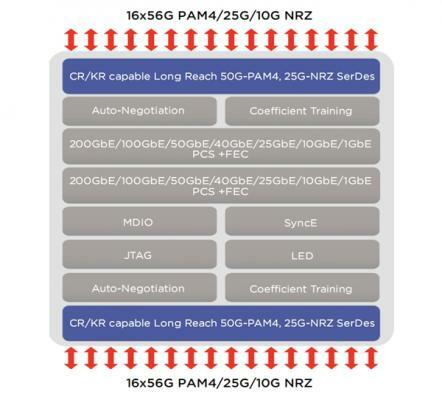 It is the first PHY physical layer scheme that is fully compatible with the IEE 802.3cd standard, which defines the 50GbE port type based on PAM4. It optimizes the QSFP-DD and QSFP ports on 50/200/400GbE network. The 88X7120 scheme has now provided samples to key customers, and the time of delivery is uncertain.